An exhibition of self-portraits by recently discovered street photographer Vivian Maier made from 1950 – 1976 will be on view at Howard Greenberg Gallery from November 8 – December 14, 2013. 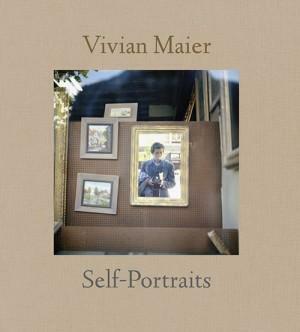 The exhibition coincides with the publication of the book Vivian Maier: Self-Portraits (powerHouse Books, November 2013) that surveys Maier’s self-portraits, many of which are being shown and published for the first time. An opening reception will be held on Thursday, November 7, from 6-8 p.m.
Vivian Maier: Self-Portrait at Howard Greenberg Gallery is the first exhibition to explore the photographer’s numerous self-portraits and the first U.S. gallery exhibition of her color work. Among the highlights are an untitled image from 1950 showing a young Maier with her short cropped hair and no make-up reflected in a framed mirror hanging next to several landscape paintings in an antique store or flea market. She looks professional in a blue jacket with a trench coat draped over one arm, a camera hanging from her neck.